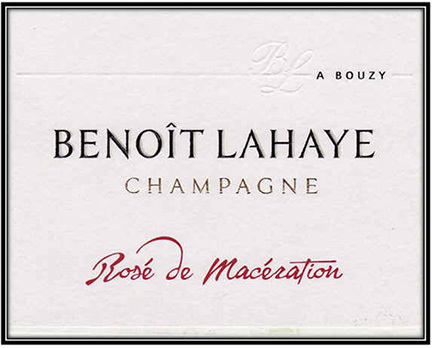 Benoit Lahaye is located in Bouzy, a grand cru village in the Montagne de Reims. He works in the winery with his wife Valérie and their two sons, although his family has been making champagne since the 1930s. The domaine, which covers a surface area of 4.8 hectares, is situated in the region of Bouzy (3.2 hectares), Ambonnay (1 hectare) and Tauxières (0.6 ha). Bouzy brings structure, power and fruit to the wines while Ambonnay brings acidity and roundness. The domaine is mainly planted with Pinot Noir (just under 90%) on south and southwest facing slopes. The vines average 35 to 40 years old. The total production is less than 40,000 bottles per year. I imported Lahaye’s champagne for the first time around 2001. He wasn’t organic then, just a humble, small producer in Bouzy, a town known for Pinot Noir that achieves such ripeness that its still red wine is often released on its own widely acknowledged to be the best in Champagne. But shortly thereafter, Lahaye began changing his philosophy and the way he worked his vines. He began growing grass between the rows of all of his vineyards rather than eliminating it with weed killers as is common in the region. He aerated the soil to limit and began using only organic compost in the vineyards. Since 2003, the property has been worked organically, and 2007 was the first vintage to be certified by ECOCERT. 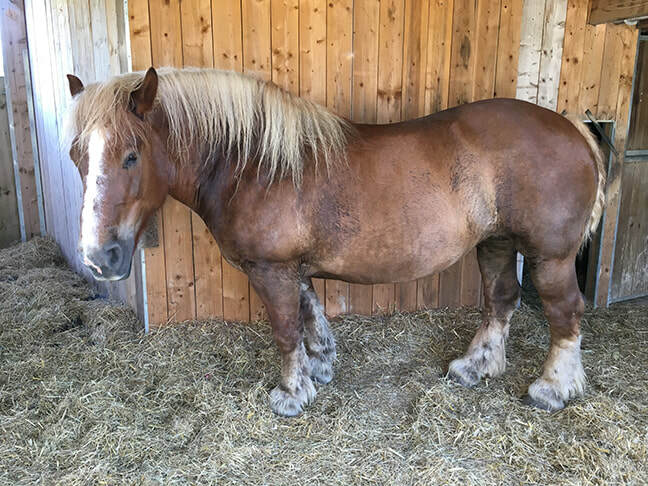 Lahaye only uses his own compost and organic manure to enrich his soil. Various herb infusions are also applied, along with other fermented extracts from plants and essentials oils in order to combat plant disease. Since 2009, Lahaye has been applying biodynamic principles to further improve the expression of his terroir and reveal the full potential of his soil and vines. Benoit says that the switch to biodynamic practices has brought higher potential alcohol at harvest, but also higher acidity. 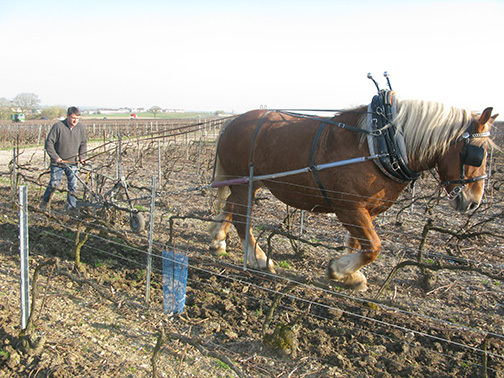 His nine year-old work horse Tamise, who became part of the family in 2010, leads Benoit around the vineyards, plowing the soil and spreading compost. Since 2010, the estate has been certified biodynamic by Biodyvin. In the cellar the work is as minimal as possible. The major part of the vinification is achieved in 225 liter barrels, without any chaptalization and using only natural yeasts. 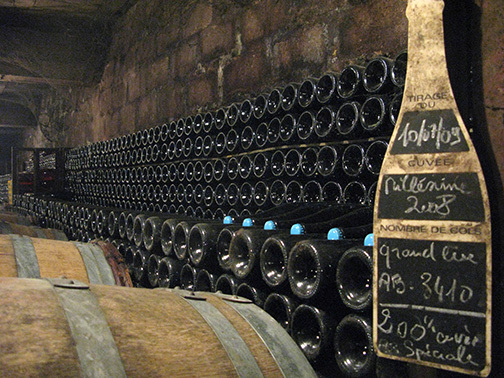 The wine spends 10 months on its lees without racking. All the wines go through 100% malolactic fermentation: with the biodynamic practices, Lahaye is not afraid of losing too much acidity but more than anything, he is against stopping the malolactic by adding sulfur. 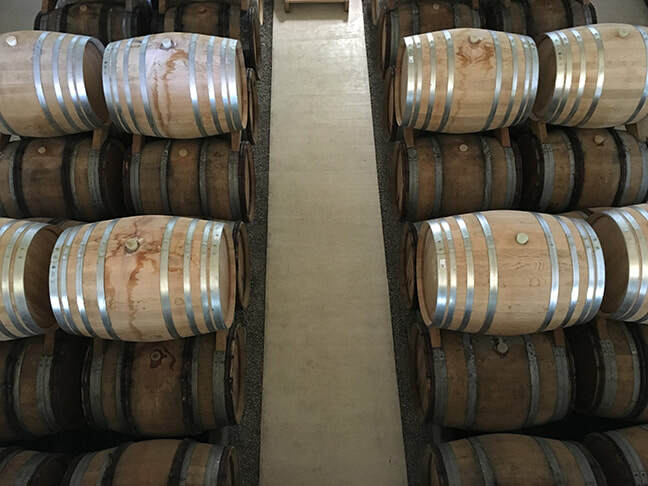 The barrels are in a new above-ground chai that has large windows so that the wine sees the seasons before being put in bottle. Since the 2012 harvest, all wines at the domaine have been fermented in barrel. Following the biodynamic calendar, all wines are bottled on a fruit day or perhaps a flower day. All the bottles are rotated with gyro-palettes because, according to Benoit, “all the work to be done in the vineyards leaves little time for manual riddling.” Since 2008 Lahaye has been experimenting with making wines entirely without sulfur, and now bottles a sulfur free cuvee called Violaine. 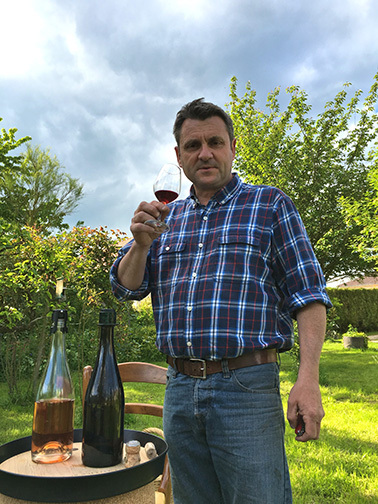 Rosé de Maceration: 100% Pinot Noir from Les Juliennes, a vineyard located on the terres blanches (white soils) in Bouzy on the border with Tauxières, planted in 1973. Whole cluster maceration for 2 to 3 days, then direct pressing of the grapes. The still wine is racked once and not filtered before its secondary fermentation. Low dosage at 2 to 3 grams/liter (extra dry). Production: 4000 bottles are produced. Blanc de Noirs: 100% Pinot Noir from Bouzy (Les Vaux Betins and Les Hannepes specifically, both plots with deep soils), and Tauxières, (in an area called Les Argentieres with more chalk.) The vines were planted in 1960, 1980 and 1990. The grapes from each parcel are pressed separately. Bottling is without filtration and the dosage is 5 grams per liter, making it an extra-brut. 666 cases are produced. Its dark-toned fruit is underlined by a stony minerality. It is energetic and persistant all the way through to the finish. Entirely from the Tauxières-Mutry vineyard Les Juliennes, planted in 1973. Shallow, brown chalk soils. Whole cluster macération of 18 hours, then direct pressing. Fermented in tank. No malolactic fermentation. 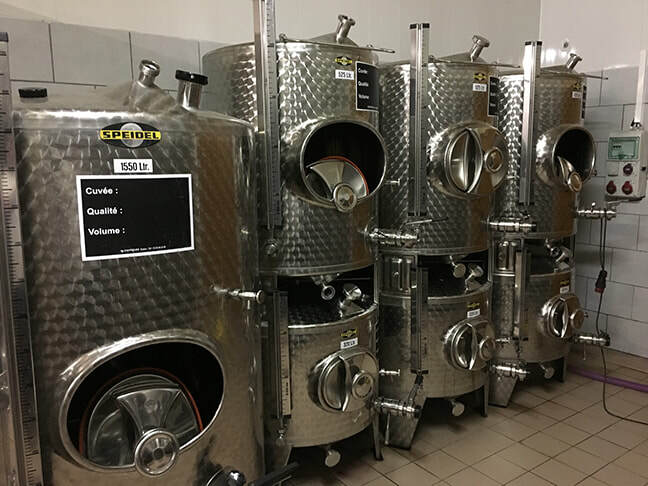 The still wine is racked once and not filtered before its secondary fermentation. Low dosage at 3 grams/liter (extra dry). 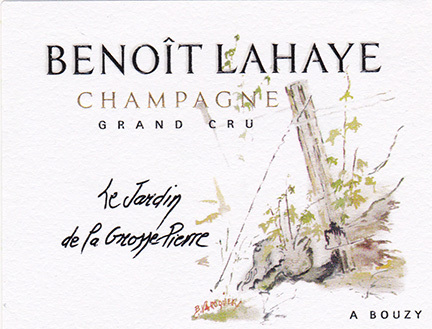 Champagne Benoît Lahaye - Violaine: (50% Pinot Noir and 50% Chardonnay: Partially from the vineyards Les Argentières and Les Monts de Tours, both in Bouzy with dry brown chalkly soils. Vinification is used barrels using indigenous yeasts, afterwards one or two lees stirrings and with complete malolactic fermentation. There is no racking or filtration during the elevage, and no dosage or sulfur at any part of its production. Intensely fruity with floral notes this wine was still a little young when tasted but is full of potential, a very interesting cuvée. Only 1,800 bottles produced. through partial malolactic fermentation. The wine is not filtered before its secondary fermentation and dosage of 5 grams of sugar/liter (extra-brut).